ALTADENA - State Sen. Jack Scott, D-Pasadena, will give a State of the State address at tonight's Altadena Town Council meeting, which begins at 7 at the Altadena Community Center, 730 E. Altadena Drive. Scott will speak at 7:30 p.m. I just read a Dormitas post in which s/he makes this aside: "This from Pasadena Now (the most consistent coverage of Pasadena news we have):"
I couldn't agree with Dormitas more. Pasadena Now, the news organization that recently made the headlines by outsourcing journalism to India, seems to be scooping the old guard Pasadena pulp press. Yesterday the Stonehill News weather station recorded a high of 108.1 °F but we lost power and Internet during the hottest part of the day. 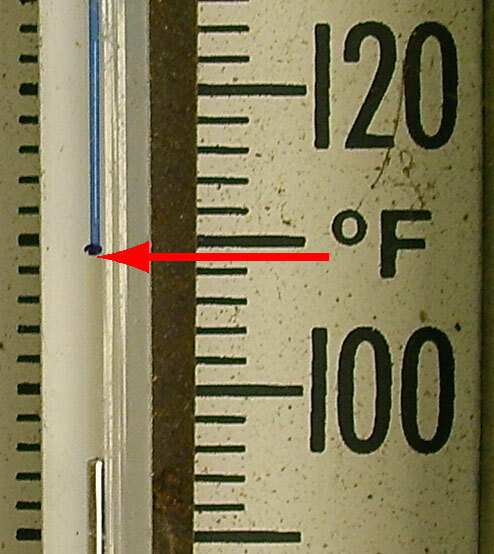 The mercury thermometer topped out between 109 °F and 110 °F (approximately 109.5 °F, but I don't want to state it too precisely as the mercury thermometer has lower resolution than the digital one). The other three Altadena weather stations all seemed to have stayed online through the day yesterday. Above are yesterday's local highs as recorded on WUG. Last year, July 22 is the day (not) to beat with a high of 112.5 °F recorded at Stonehill News.